Step 1 Download M7CMS from app store, then install M7CMS on your iPhone. Go to Apple app store on your iPhone. Tap the green button BUY APP when you found your app, installation process will go on automatically, then you just wait until it finish. When it is finished, M7CMS icon will be shown on your iPhone desktop. 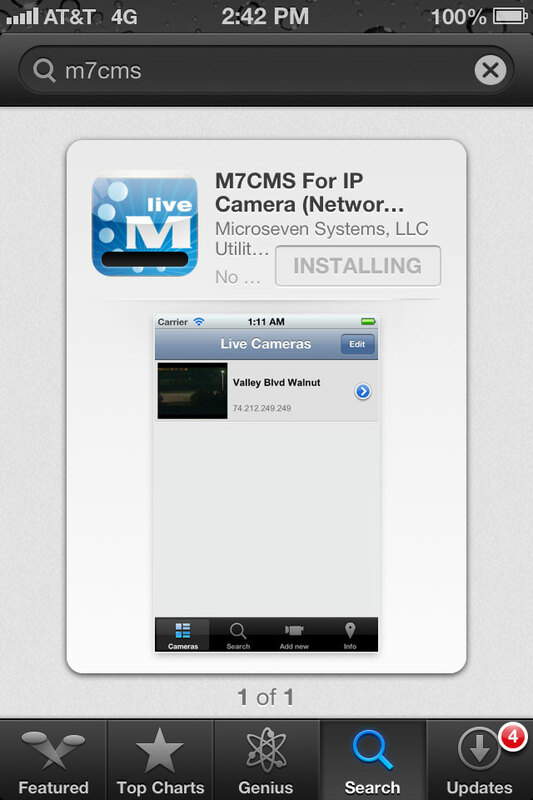 Now you tap on M7CMS icon to run M7CMS. When it is opened, you will see the list of cameras, there is only one camera in the list for giving you a demo. 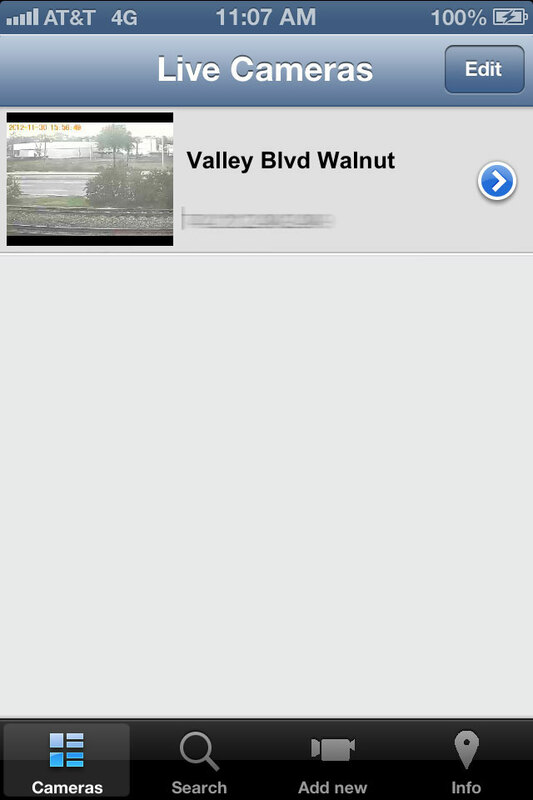 The name of this camera is Valley Blvd Walnut. Step 2 Add Cameras to M7CMS. There are 2 ways to add camera(s) to live cameras list. 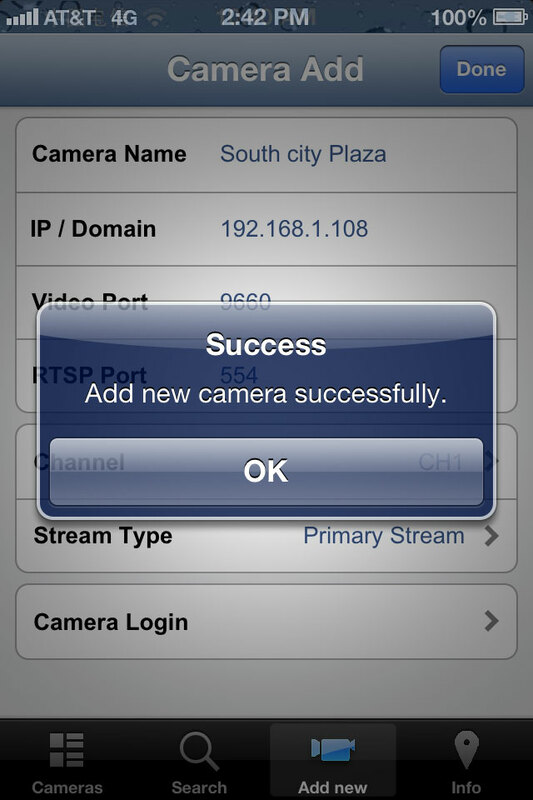 2.1 The first method adding camera to app, you will do search camera and add it to list. To confirm your camera is powered on and working in your local area network (LAN). 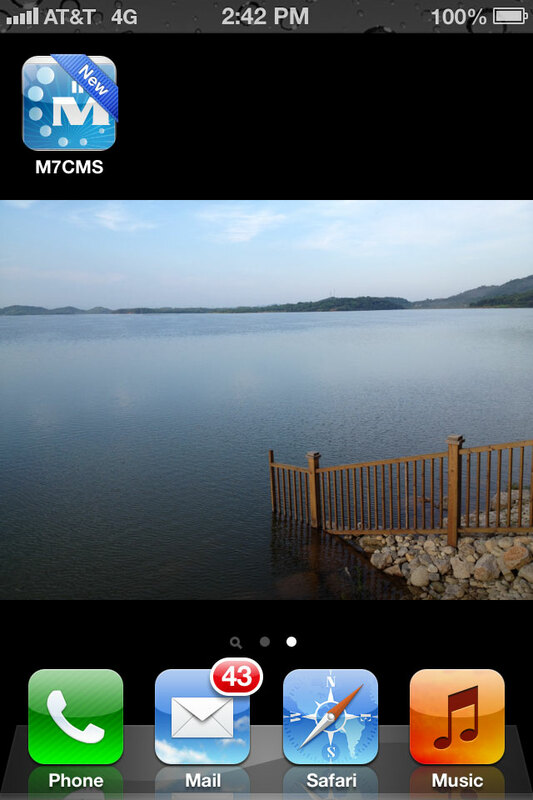 Tap M7CMS app icon to open M7CMS. Tap Search icon at the bottom of the page to do Camera Search, (at present, Microseven brand camera can be found in the app). 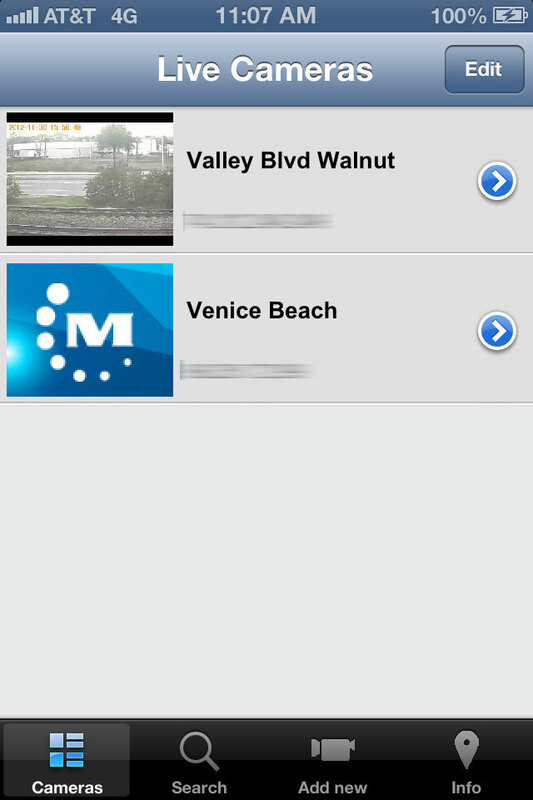 Camera(s) can be found on the list if your Microseven camera(s) in your local area network. Tap the plus button to add camera in Camera Add page. Camera properties are filled up automatically by default. You may modify camera user ID and password for access if you have them other than default. Enter Camera Name as you wish. 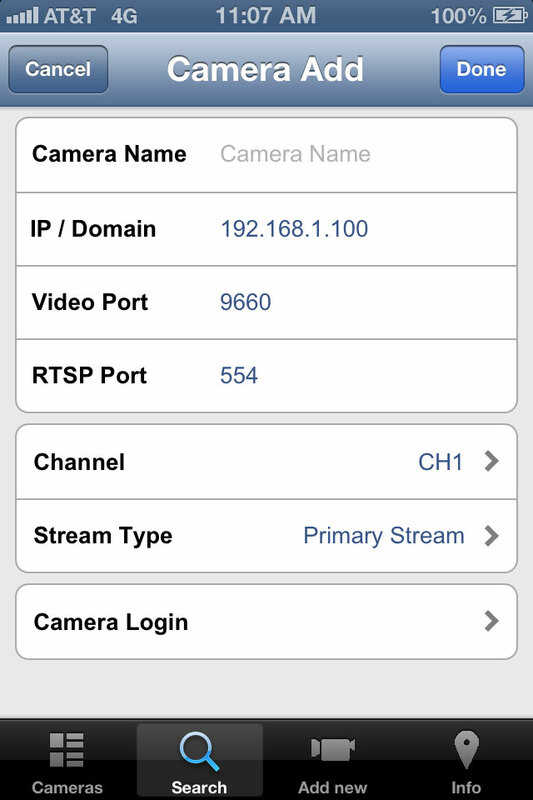 Camera Login is the place to access camera video, default user ID is admin and its password is password. Change camera User ID and Password if it is not by default. Tap ‘Done’ to confirm the settings. It will go back to Camera Add page. The camera will be added to the list. 2.2 The second method to add camera(s) to app, you will add camera without doing. The method for camera on the Internet or the camera you want to add is not Microseven brand camera that is RTSP protocol ready. Tap Add new icon at the bottom of the page to add a camera. Enter IP address (this field can be local area network IP address, example 192.168.1.201 or it can be Internet IP address, if you have domain name of the camera address, you can enter the domain name, usually, people use dyndns.com name as their domain name. You can check site www.dyndns.org for reference). Enter RTSP port, this port is for this app use, default RTSP port is 554. Camera Login page is opened. 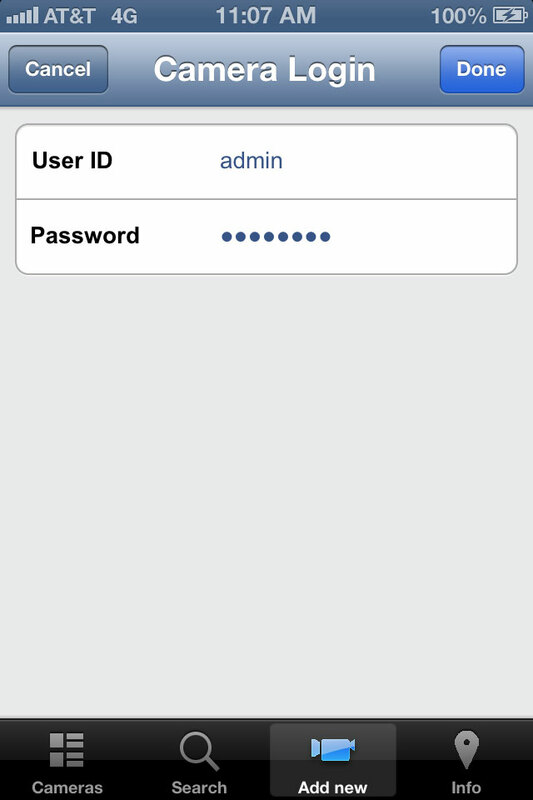 Enter your camera User ID and Password, default User ID is admin and default Password is password. Tap Done to confirm the settings, a pop window Success is up. Tap OK.
You can add more cameras as you want to. Tap Cameras icon at bottom of page. You will find the camera is added. 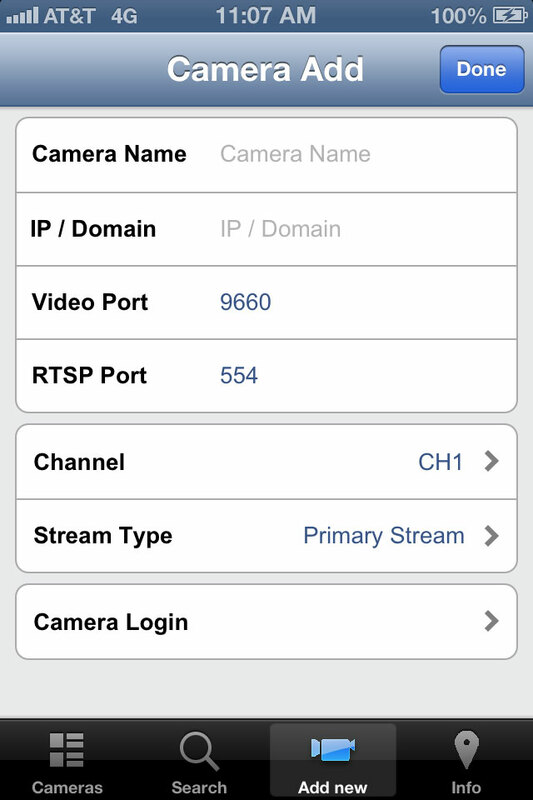 Step 3 View and Control Pan/Tilt/Zoom live camera in the app. Tap Cameras icon at bottom of page, you then go to Live Cameras page. There is a list of camera(s), then tap the camera you want to view. It will lead you to Live Camera View page. Tap PTZ Control icon at bottom of the page, the PTZ control panel will be activated. Now you can control the video pan/tilt/zoom to view camera. Step 4 Remove Camera from the List. Tap Cameras icon at bottom of page, you go to Live Camera page. Tap Edit choose the camera from the list that you want to remove. Tap Delete to remove the camera from the list. This post is only for optional zoom PTZ network camera OSD menu info. You may help OSD menu – M7-PTZDWS-22X, the following snapshot will help to use OSD menu. Preset number of OSD menu is 57. You input 57 on preset number field, then click on RECALL button, then OSD menu will pop up. After popup console menu on OSD. You will find control button assicioate with control of OSD menu. How to reset Microseven camera to factory state? Step 3 Highlight on IP address and double click, A pop up window will appear.. Step 4 Click ‘Reset (factory)…’ . Step 5 After reset, you need to re-configure camera again. If you want to keep the properties values in camera, you just need to click ‘Set Default’ button. How to set up MSH-RD080PTW/M7-RD550PTWS pan and tilt values? Click Camera Setup ‘Setting’ button on the web system main page, go to ‘COM Settings’ page. 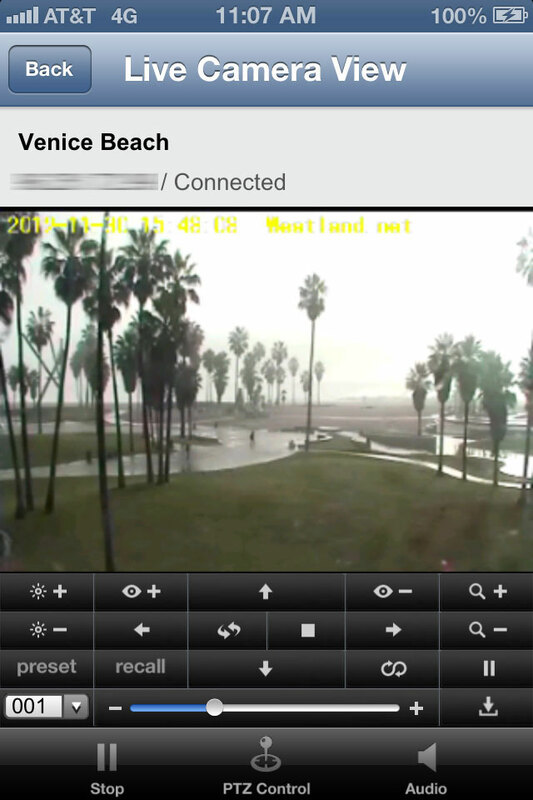 Set COM parameters for your PTZ camera device. Click ‘Apply’ to save the current settings. Click ‘Return to the web system main page. Step 2 PTZ Control Setting. Click Surveillance Setup ‘Setting’ button, go to ‘PTZ Control’ page. Set PTZ Address, COM Port and Protocol. Click ‘Apply’ to save the current setting. Click ‘Return’, to go back to the web system main page. How to set up network camera for view on any Internet browsers? Before continuing, please make sure you have VLC media player installed. 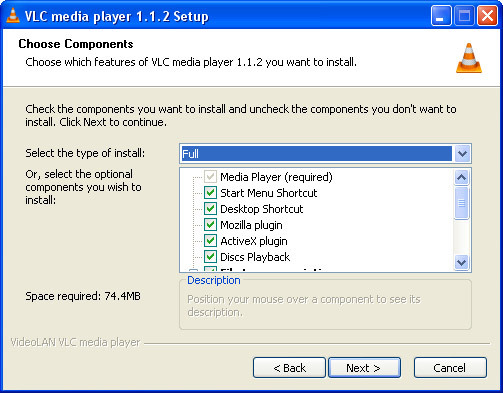 To check if you have VLC Media player installed, visit https://www.microseven.com/vlc.html?ip=74.212.249.249. 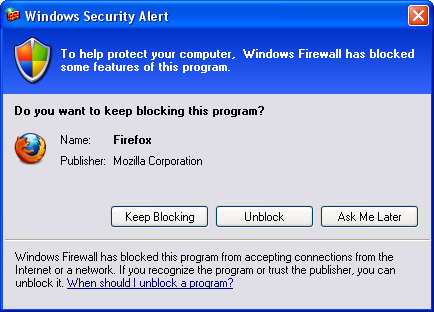 Your firewall might prompt you to block the plug-in; please unblock for viewing. If you can see the live stream, skip to step 2. If you cannot see the live stream, go to step 1.1. Go to https://www.videolan.org/vlc/ to download the installer. After clicking “Download VLC”, the website will redirect to “Sourceforge” and the file will start downloading. After downloading the installer, run it. If there is a security warning, just click “Run”. Follow the instructions of the installer. When you reach the “Choose Components” section, be sure to select “Full” for your installation. Continue the installation and click “Finish”. You may now continue to Step 2. Prepare your own camera’s IP address and set the port to 554. 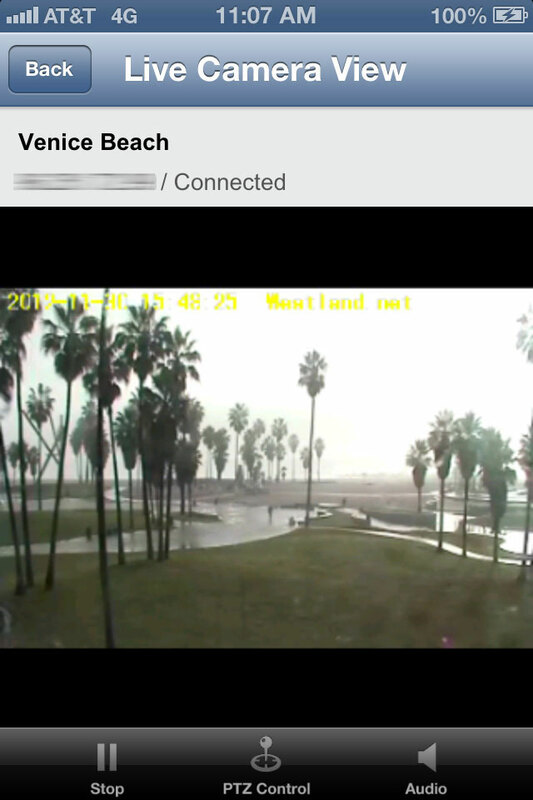 Your camera’s live stream should now be displayed in your browser. Here is a short time lapse video. It is a quick look at the challenging lighting conditions we are encountering in the field. Webcam is from Microseven network camera, model is M7-PTZDWS-18X . It is the popular IP network camera, there are Ethernet and wireless access to Internet and PTZ and 18X zoom. How to setup live still-images from network camera and embedded on your website? Hi everyone, if you have live webcam time setup on your website, the following information you must need to know. More traffic on your website, longer time (second) given. It will meet both IE and firefox browsers. New camera image pixel is 704X480 and larger. It is about 154,578KB size. On the Internet, any browsers request it, it will take more than x second. In the LAN, it won’t have any downloading image time because it is faster enough. You project demo, it may have 50 people view at same time, and it cause refresh issue. This version of firmware is solved issue. Allow as many as student or people to browser the demo on the website. If you think of 50 people browser the demo from USA or Europe, you need to set up interval 10 second. The camera won’t crash for still image. The same time, there is video running, and ftp pushing actions on the camera. all default values is not showed. Setup snapshot = 10 seconds, it plans for large volumes of students or people. More people more than 10 seconds purpose on the Internet traffic. Use http://www.microseven.com home page demo script on your website. Copy it from there, so in Firefox, still image will go smooth, won’t see refresh on the Firefox screen. Old camera has small size of image, it won’t have above issue. You also use other method which post image using ftp from camera end to your ftp website and keep the file name is the same. How to install SD card to M7-RC550WS? To install SD card to M7-RC550, the SD card drive is inside of camera from back cover. Step 1. unscrew two screw on the back cover. Step 2. go to unscrew on the back of the camera. Step 3. open the cover. Step 4. insert SD card to the SD card drive. Step 6. go to storage tag, you will find your storage SD card in the list which automatically detected by the camera system. Highlight it, check on partition button, then wait until it is finished. Then click on format button, until it is finished. It may be taking 1 minute to finish. Before you make recording, it will be initialized by the system about 1 – 2 minutes. You complete your installation of SD card in M7-RC550WS. Microseven 26X Zoom network camera can view about 1 mile away house from Walnut, California to Diamond Bar, California on the Internet. Microseven network camera is on link http://www.microseven.com/product/Network-Cameras-M7-HSDDNWS-26X-N.html.